Amazingly, animation is a hot ticket for streaming services right now, with shows like “Rick & Morty” and “Bojack Horseman” topping the charts, so it’s no surprise that Netflix want in on the lucrative revenue possibilities for the cartoon hype, but it’s costly for them to order shows from animation studios, and that’s why they are now planning to build their own animation studio. The Studio will be employing the likes of Alex Hirsch (Gravity Falls) and Shion Takeuchi (Disenchantment) to create brand new projects. Certain concerns come mind with this news, like how this could mean less commission opportunities for smaller animation studios, because Netflix would most likely prefer to save money by producing their own content, and that could spell bad news for studios with ambitious ideas to pitch. Not to mention, this also begs questions about what quality to expect from the NETFLIX animation studio, like, what techniques will be used? Will budgets be skimped? Will all these titles have their own unique art style? It’s hard to be certain this early on. Putting my pessimism aside though, it’s good to see how animation has become such a popular medium for streaming now, so maybe NETFLIX will be careful about quality control? Knowing that cartoon fans won’t settle for just anything, and will drop a show if it doesn’t keep them invested after a few episodes. I also like the idea of NETFLIX making their own animated movies, that could be very interesting, especially seeing as NETFLIX have a reputation for green-lighting adult cartoons, and this could mean a major return for more mature animated features. Who knows which other creators could be brought on board too? With Alex Hirsch and Shion Takeuchi signing on, it seems that NETFLIX want to give employment to some of the best, imagine who else they’ll bring in! Heck, we could see Trey Parker & Matt Stone tapping into the NETFLIX market, Pendleton Ward maybe shaking hands with the streaming giant one day, and perhaps the likes of Rebecca Sugar might step in with a progressive colourful new project. The possibilities are endless, even if this means that NETFLIX may commission less outside house studios, because this could mean exciting doors to be opened for talented creators. I’m on the fence about how this animation studio will pan out, it could go both ways, but this is a company that green-lit “Bojack Horseman” and gave “Steven Universe” an online home, so I’m a little giddy at the same time. What do you all think about this news? 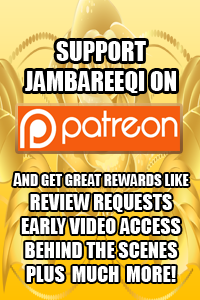 Let me know in comment section, plus don’t forget to click like, and maybe subscribe to Jambareeqi.com. 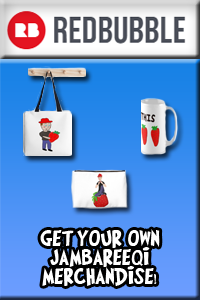 Enter your email address, and you can receive updates!